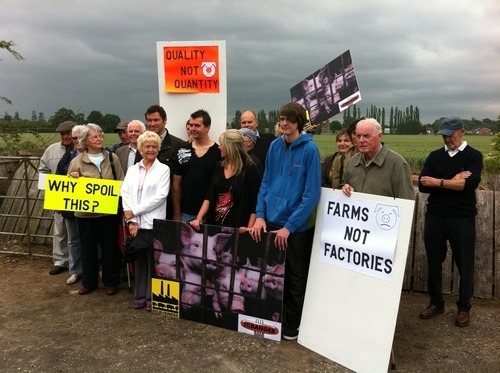 The Environment Agency’s (EA) decision to refuse a permit for a 25,000 intensive pig rearing facility near Foston in Derbyshire marks the end of five years of anxiety and falling property prices for the local community who were almost unanimous in their opposition to the project. It also sent a clear signal around the world that factory pig rearing does not work – the costs are far too high. The EA decision was grounded on the health risks that would be suffered by neighbours; odour in the form of ammonia, toxic bio-aerosols and antibiotic resistant organisms, a bundle of pathogenic gasses wrapped in a toxic stench that the Agency considered could have contravened the European Convention on Human Rights. The EA also ruled that the risk of contamination of both groundwater and surface streams and the impact on the nearby designated Local Wildlife Sites were unacceptable. The decision, which effectively stops further development of this kind in its tracks, comes at a time of mounting public anxiety that the industrial, intensive pig rearing system is a dangerous failure which abuses animals and threatens human health by routinely overusing antibiotics just to keep the animals alive in the overcrowded, barren conditions that cause the pigs stress and disease. 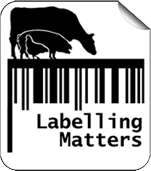 The myriad of hidden costs to the environment which allow for ‘cheap’ meat are unloaded onto local communities and the broader community. Antibiotic- resistant superbugs that pass from pigs to humans bring us closer to the end of antibiotic cures for animal and human diseases. 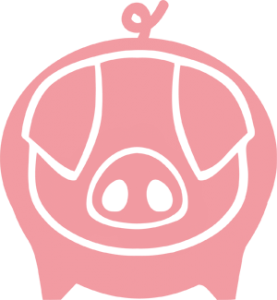 By externalising many of its costs the system unfairly, often illegally, outcompetes family farms where the pigs are treated humanely, have plenty of space, whose waste is not a toxic pollutant but a soil nutrient and where the pigs are healthy and rarely require antibiotics. Each time someone buys meat they are voting for the system that produced it. By buying only high welfare pork from small farms we can all help restore balance to a market skewed and distorted by industry lobbies, lack of enforcement of welfare and environmental regulations and no meaningful restrictions on the use of antibiotics. This way we can support humane, sustainable farms which treat animals with respect while conserving soils, wildlife and rural communities. Take the Pig Pledge today, and only buy pork from real farms, not animal factories – or go meat-free.